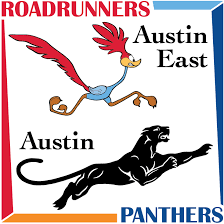 On July 6, 2019, Alumni of Austin and Austin-East High Schools will celebrate the 140th Anniversary of the opening of the first school in 1879. The Austin A-E Alumni Association will publish 1500 souvenir books for this occasion. These books are for celebrants, many of whom travel from all over the country to attend this event. Those who attend this event will cherish this book as it will be greatly enlarged and enhanced for this gathering. It will contain many additional photos going back decades: of gratuating classes, of those alumni who have distinguished themselves in their choosen fields, and of groups of people who attended previous reunions. For a gathering of this size, we believe it will be of great service to those traveling from other cities to include ads of local businesses, churches, civic and community organizations of which they may avail themselves-during their stay and in the future. The ads will be beneficial to local attendees as well. To use your business logo in the ad, please email a medium-sized, high resolution (300 ppi) image to shandrews@me.com along with your preferred wording for the ad.